Certain adjectives change their meanings depending if they appear before or after the noun. The adjective ancien in the sense of "ancient" is not really used in French for people. are these two the same meaning? No, they mean different things. "L'ancienne maison" is "the former house", whereas "la maison derrière" is "the house behind" (spatially speaking). 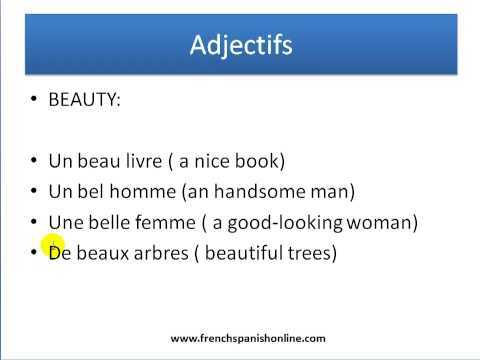 'Ancienne' in your example means former/previous so you might say . "Dans mon ancienne maison j'avais cinq chambres "= In my previous/former house I had five bedrooms. Sorry, I mesread derrière for derrière. Well, it could be a lot of things, I guess. The point being to demonstrate the change in meaning ancien has when going before or after the noun. Susan suggested a great mnemonic to remember this lesson ! When beFore a word, it means Former. Not the most graceful mnemonic in the world, but it helped until I had mastered the difference."